What makes the Ancient Greeks so remarkable even today? Check out our top 7 list of how the Greeks changed the world. Existing from the Greek Dark Ages of the 13th–9th centuries BC to the end of antiquity (c. 600 AD), Ancient Greece is one of the most important periods in European history. So influential were Ancient Greeks that many historians recognise Ancient Greek culture as the basis of Western culture. With important figures such as Alexander the Great and Plato, its influence has been huge. But what exactly is it that makes the Greeks remarkable today? What we know as ‘democracy’ today can be traced back to the Ancient Greek city-state (known as a polis) of Athens in the 5th to 4th century BCE. Under this system, all male citizens had freedom of speech, equal political rights, and the opportunity to participate in the political arena directly by simply holding up their hands. Athens was the first known democracy in the world, inspiring many other cities to set up democracies, most following the Athenian model. 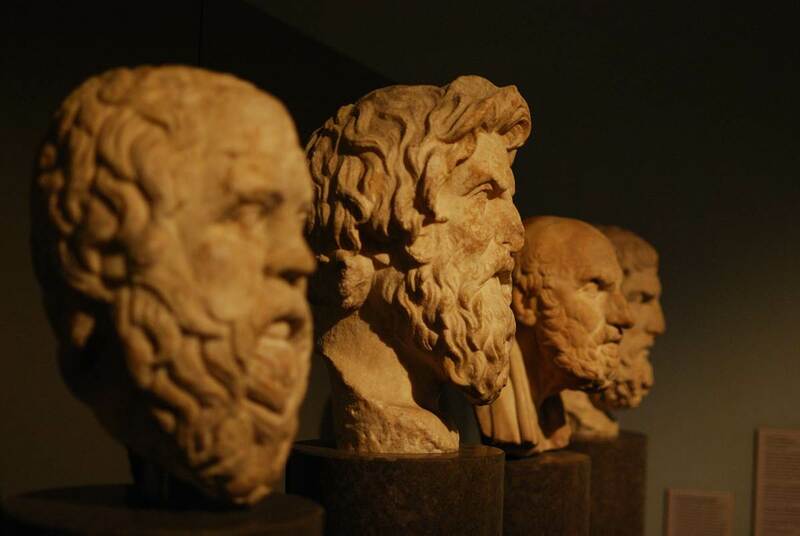 Greece is the birthplace of Western Philosophy. Philosophy, meaning ‘love of wisdom’, helped to make sense of the world in a non-religious way. It concerned a huge array of subjects, including ethics, logic, politics and aesthetics. 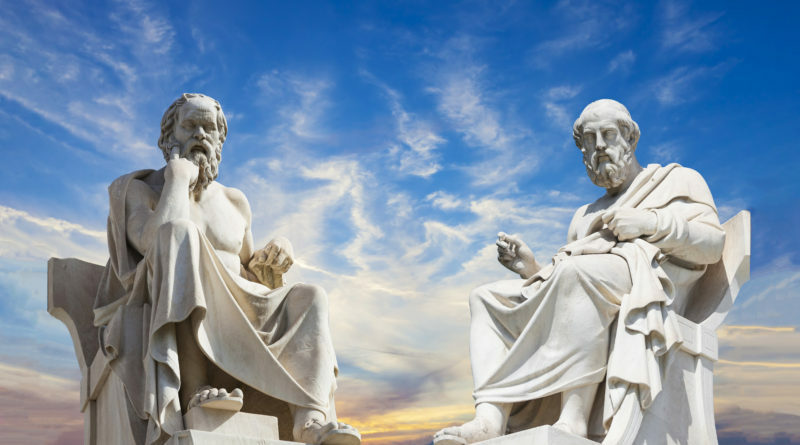 Greek philosophy has been so influential in the West that philosopher Alfred North Whitehead once noted: “The safest general characterisation of the European philosophical tradition is that it consists of a series of footnotes to Plato”. 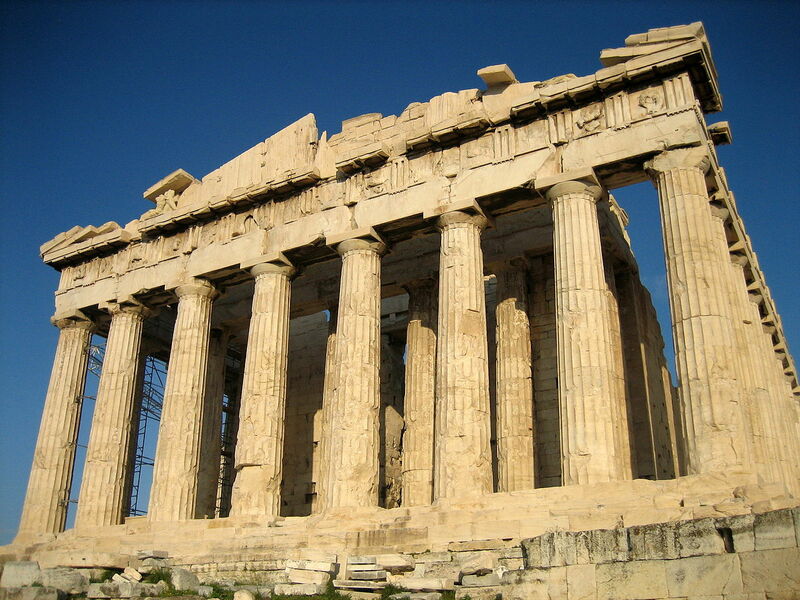 Originating during the 6th century BC, Greek philosophy continued throughout the Hellenistic period. It had a huge impact on Islamic philosophy, the European renaissance and Enlightenment. Every four years the Greeks held a special sporting festival, the Olympic Games. The festival took place at Olympia, in Elis, on the Peloponnese peninsula. The Olympic Games ran from 8th Century BC to the 4th century AD. The festival inspired the modern Olympics which began in 1896. Dedicated to Zeus, sporting competitions included running, boxing, and chariot racing. Winners were awarded laurel wreath crowns. 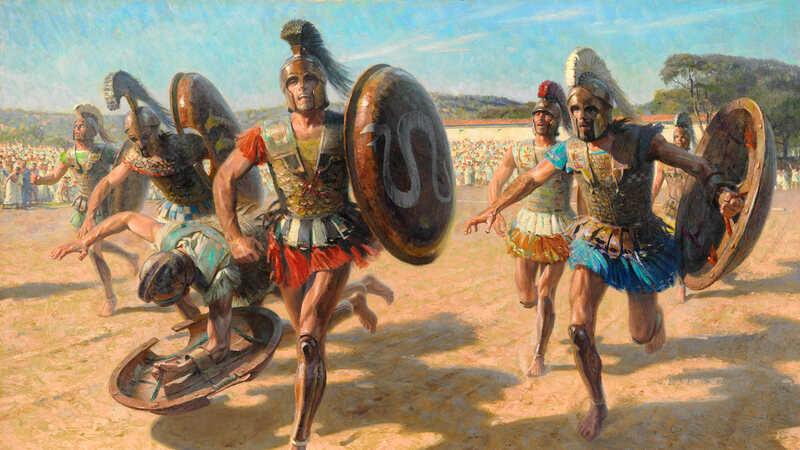 A famous legend tells of Pheidippides, who fought at the battle of Marathon in 490BC. When the Greeks won, he ran 26 miles (42 km) to tell Athens of the good news – and then fell down dead. Modern marathon races cover the same distance as his epic run. 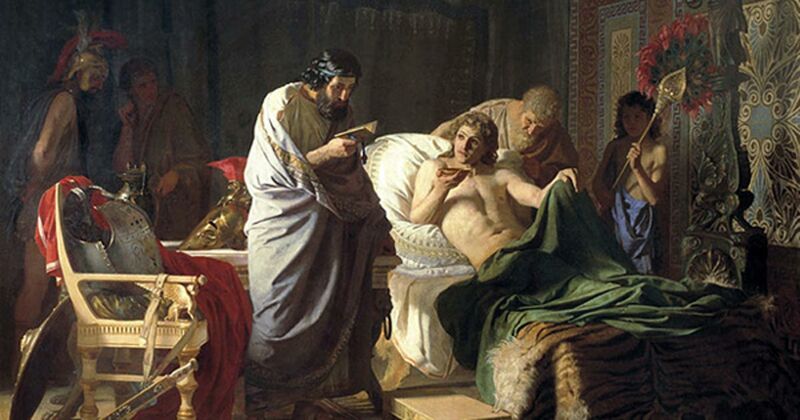 The ancient Greeks are seen as having been the founders of Western medicine more than 2,000 years ago. The ancient world did not fare too well when it came to cure diseases. Then, diseases were assumed to be god’s way of punishing people. Additionally, all remedies were surrounded by superstition. Yet, that changed when Hippocrates of Cos collected data and conducted experiments. He showed that disease was a natural process. The most famous of Hippocrates’s medical contributions is the Hippocratic Oath. It was this document that was first proposed as an ethical standard among doctors. Important in its day, we still use its concepts, such as doctor-patient confidentiality. 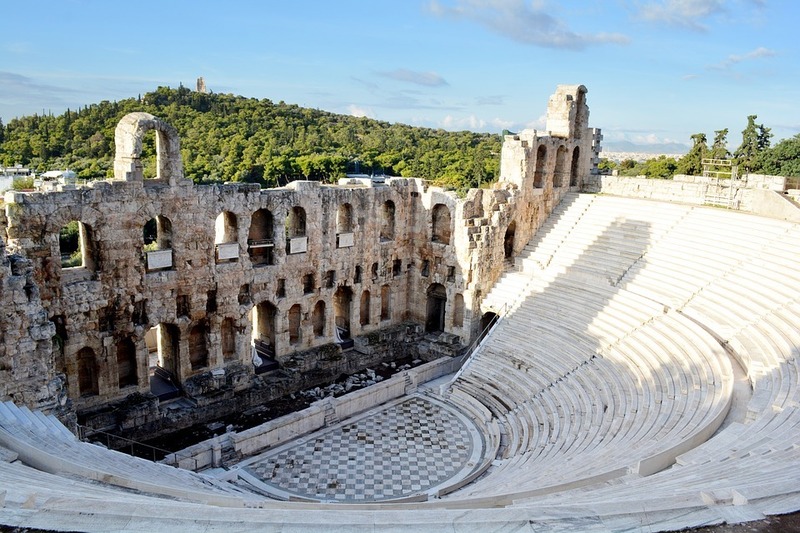 The city-state of Athens is where western theatre originated. It comprised a broader culture of theatricality and performance in classical Greece. It included religious rituals, politics, law, gymnastics, music and symposia. The early days of ancient Greek theatre started as festivals honouring the god Dionysus. It eventually grew into an art all its own. Performing the first known dramatic poetry reading on stage, Thespis is acknowledged as the first Greek actor. He is also the founder of the tragedy genre. British stove maker William Feetham patented the first mechanical shower in 1767. Yet, it was the ancient Greeks who were the first to have showers. The Greeks had aqueducts and sewage systems comprised of lead pipes. The systems allowed water to be pumped both into and out of large communal shower rooms. 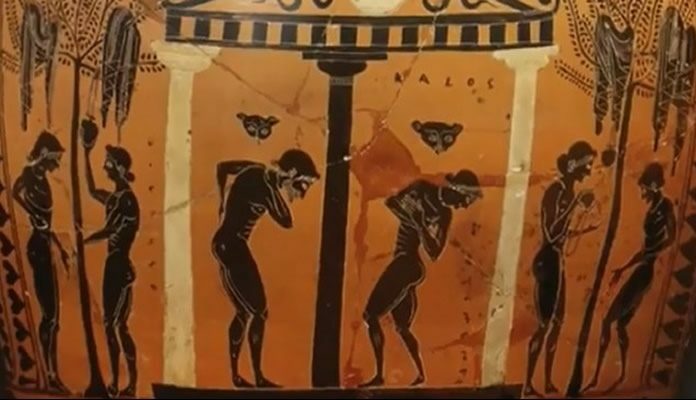 These showers were used by elites and common citizens alike. Shower rooms have been discovered at the site of the city Pergamum and depicted in pottery at the time. Shower rooms resemble modern locker room showers. They even included bars to hang up clothing. Although digital clocks are a modern contraption, the first one originated with Plato. 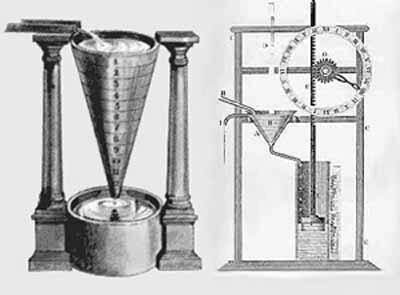 The Greek philosopher had a large water-clock equipped with an integrated mechanism. Whistling like a boiling kettle, it signalled the beginning of his lectures at dawn. Its inventor, Ctesibius, fitted his clepsydras with dial and pointer (time indicators). He added elaborate “alarm systems” that could blow trumpets or drop pebbles on a gong. 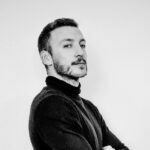 Editor, Essayist, Poet and Designer residing in New York and Amsterdam.